Does your smile have a lot of potential, but just needs a little help? Have you ever wondered what your smile would look like with the special touch of an artistic cosmetic dentist? Maybe your smile could be a little straighter, a little whiter, or a little less gummy. At Roper Aesthetic Dentistry, we deliver amazing smile results to British Columbia guests looking for a reason to smile more. Our guests are often surprised at what a big difference even a minor smile rejuvenation procedure can make. Cosmetic dentistry, often referred to as aesthetic dentistry, involves using modern technology to custom design your smile. 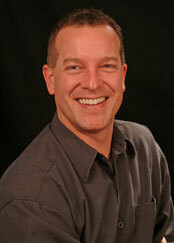 Dr. Roper prides himself on delivering smile solutions that are very natural looking and affordable. Dr. Roper’s team has helped so many Campbell River, Comox Valley, Vancouver Island, Nanaimo and British Columbia people improve their self-confidence with beautiful smile makeover treatments. During your free smile evaluation consult, you and Dr. Roper will collaborate to find the perfect combination of procedures to give you a smile that perfectly complements your facial features and unique personality. Visit our Smile Gallery to view happy Smile Makeover guests. With innovations like the Diode Laser, the DIAGNOdent Laser, Digital Intra-oral Photography, and Digital X-rays, Dr. Roper can help you achieve your smile goals conveniently and affordably. Call or E-Mail Dr. Chris Roper for experienced cosmetic dentistry in Campbell River, Courtenay, Comox Valley, Vancouver Island, Nanaimo, or British Columbia. Visit us today for a free smile evaluation. Vancouver Island cosmetic dentist at Roper Aesthetic Dentistry serving Campbell River, Courtenay, Comox, Nanaimo, Vancouver Island, and British Columbia and surrounding communities has created this website as an informational resource for those who want to know more about smile makeover. The information on this web page should not be considered formal medical advice. If you would like more information, please contact us to schedule a complimentary and private consultation.